What will happen to your estate if your primary beneficiary does not survive you? If your will does not name an alternate beneficiary, your estate will be divided according to state law. The way the state divides your estate may not agree with your wishes. Your money may go to someone you don't like or to someone who is unable to handle it. For example, suppose your will divides your estate among your spouse and three children. If one child dies before you, do you want his or her portion of your estate to go to your grandchildren? To your other children? To your spouse? Or perhaps to a charitable organization or institution? Another issue to consider is whether the person who would inherit under the law is too young or has special needs. In that case, you may need a trust to protect the assets. Double check your will to make sure it names an alternate beneficiary. And if you don't already have a will, being able to name an alternate beneficiary is an important reason to create one. Naming an alternate is a good idea for other provisions in your will as well. If you have young children, you should also consider naming an alternate guardian for your children in the event your first choice is unable to fulfill his or her obligation. 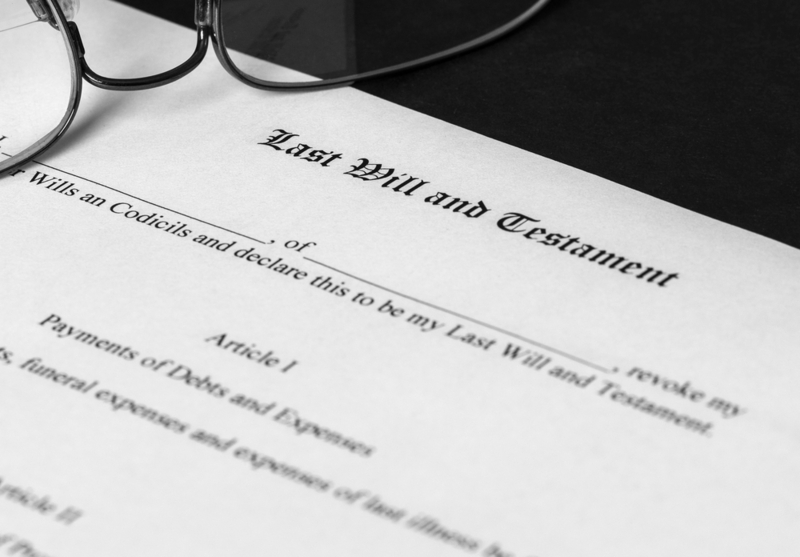 In addition, you may want to appoint an alternate executor in case the first one cannot serve. Contact your attorney to help you ensure you have considered all the possibilities.